2. Spray baking sheet with cooking spray. Roll out 8 of the crescent triangles on the baking sheet. On the top straight part, place 4 piece of pepperoni along it. Then take one half of string cheese and place on top of the pepperoni. 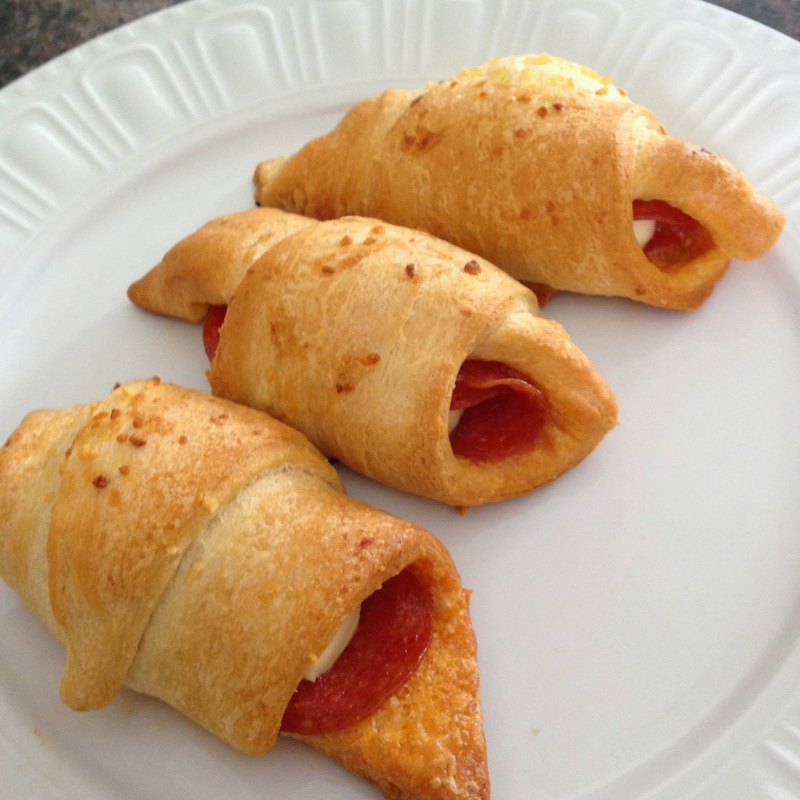 Roll up the crescent roll and do the same for the rest. 3. Mix, in a small bowl, the oil and garlic. Heat it up for 15 seconds and then spread over each roll generously. 5. While that is cooking, warm up some pizza sauce in a small microwavable bowl for dunking. 6. Once they are browned up nicely they are done! The cheese does not really melt, so don't use that as a done factor. 7. Let cool for a couple minutes and ENJOY!!! Let me know, in the comments below, if you have tried it out and how you liked it. Also, if your family has any quick "pizza" ideas that you make at home, I'd love to hear about them so I can try them out as well!